Simon Gibbs – Simon read Law at the University of Liverpool before studying at the Inns of Court School of Law. He was called to the Bar in 1995 and is a Costs Lawyer. He is a past Council member of the Association of Costs Lawyers. Simon started his legal career with the Litigation and Planning Department of Westminster City Council. 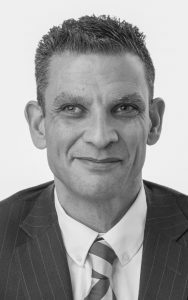 In 1997 he joined Legal Costs Negotiators Ltd and was subsequently promoted to Technical Manager, with responsibility for the specialist costs advocacy team. He was one of the forming partners of GWS. Simon regularly has articles published in the legal and insurance press and is a frequent speaker on costs at industry and training conferences. He is co-author of Claims Handling: Law and Practice – A Practitioner’s Guide and writes the online Legal Costs Blog. He was heavily involved in the initial challenges to the Claims Direct and Accident Group schemes. Simon specialises in CFA, ATE and retainer issues. William Wyatt – William read Law at London Guildhall University before going on to the Inns of Court School of Law. He was called to the Bar in 1996. He joined a national costs negotiating company in 1997 and was subsequently promoted to Senior Negotiator and then Costs Advocate in the Technical Department, before leaving to form GWS. William has extensive experience in costs advocacy and attends hearings throughout the country, including the Senior Courts Costs Office and the Supreme Court. Emily Fraser – Emily read International Development with Overseas Studies at the University of East Anglia. She then went on to complete a Post Graduate Diploma in Law at the University of East Anglia in 2004 and was called to the Bar in 2005. She was previously Cost Advocate at a national costs company before joining GWS and subsequently being made a partner in 2009. Emily has a strong background in dealing with technical costs matters and a broad range of advocacy experience, particularly in high value claims including clinical negligence matters.